UltraVue Screens Custom Made to Fit Most Style Windows. 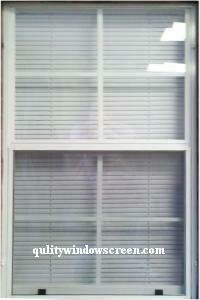 Custom UltraVue Window Screens are a top seller in enhanced view screens. So much so the Phifer UltraVue screening material or “Invisible Screen” is the only enhanced view screen fabric that we use in our custom screens. It’s that good. UltraVue screens are great for any window that the view is important. From about 3 to 4 feet away it appears screen less, that there is no screen there.The UltraVue screen allows more air flow without catching the wind like other types of screen mesh. It doesn’t have a tendency to stretch out and sag or wave in the wind as quickly as other screening mesh. Our Custom UltraVue Window Screens are great choices for patios, porches, decks, gazebos and windows around pool areas to clearly keep an eye on your family. Phifer UltraVue Screen is an enhanced view fiberglass screening that provides more outward viewing clarity....the secret is thinner strands for better clarity. From the street, UltraVue Screens look very transparent and are sometimes called "Invisible Screens". UltraVue Screens provide better visibility and airflow than regular insect screens and is suitable for typical home windows. Our custom UltraVue window screens are factory made with aluminum frame, with internal mitered corners and charcoal UltraVue insect screen. Choose from 5 frame color choices and a wide selection of attachment hardware. Order today! Quality Phifer UltraVue Screen, .020 mil. Frame. Save Up To 44% OFF With Quantity Discounts as Listed Below. Order custom UltraVue window screens today! Width Inches Select 10 11 12 13 14 15 16 17 18 19 20 21 22 23 24 25 26 27 28 29 30 31 (+$0.45) 32 (+$0.90) 33 (+$1.35) 34 (+$1.80) 35 (+$2.25) 36 (+$2.70) 37 (+$3.15) 38 (+$3.60) 39 (+$4.05) 40 (+$4.50) 41 (+$4.95) 42 (+$5.40) 43 (+$5.85) 44 (+$6.30) 45 (+$6.75) 46 (+$7.20) 47 (+$7.65) 48 (+$8.10) 49 (+$8.55) 50 (+$9.00) Help? Width Fraction 0/0 1/16 1/8 3/16 1/4 5/16 3/8 7/16 1/2 9/16 5/8 11/16 3/4 13/16 7/8 15/16 Help? Height Inches Select 10 11 12 13 14 15 16 17 18 19 20 21 22 23 24 25 26 27 28 29 30 31 (+$0.45) 32 (+$0.90) 33 (+$1.35) 34 (+$1.80) 35 (+$2.25) 36 (+$2.70) 37 (+$3.15) 38 (+$3.60) 39 (+$4.05) 40 (+$4.50) 41 (+$4.95) 42 (+$5.40) 43 (+$5.85) 44 (+$6.30) 45 (+$6.75) 46 (+$7.20) 47 (+$7.65) 48 (+$8.10) 49 (+$8.55) 50 (+$9.00) 51 (+$9.45) 52 (+$9.90) 53 (+$10.35) 54 (+$10.80) 55 (+$11.25) 56 (+$11.70) 57 (+$12.15) 58 (+$12.60) 59 (+$13.05) 60 (+$13.50) 61 (+$13.95) 62 (+$14.40) 63 (+$14.85) 64 (+$15.30) 65 (+$15.75) 66 (+$16.20) Help? Height Fraction 0/0 1/16 1/8 3/16 1/4 5/16 3/8 7/16 1/2 9/16 5/8 11/16 3/4 13/16 7/8 15/16 Help? Frame Size 5/16 x 3/4 3/8 x 3/4 7/16 x 3/4 Help? 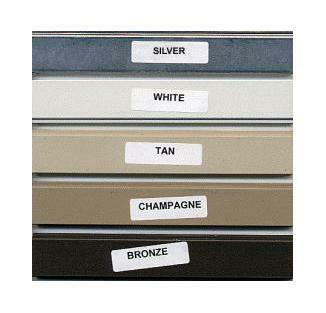 Frame Color White Bronze Silver Tan Champagne Show Colors? Crossbar Location None Desired 18 Inches From Bottom 19 Inches From Bottom 20 Inches From Bottom 21 Inches From Bottom 22 Inches From Bottom 23 Inches From Bottom 24 Inches From Bottom 25 Inches From Bottom 26 Inches From Bottom 27 Inches From Bottom 28 Inches From Bottom 29 Inches From Bottom 30 Inches From Bottom 31 Inches From Bottom 32 Inches From Bottom 33 Inches From Bottom 34 Inches From Bottom 35 Inches From Bottom 36 Inches From Bottom 37 Inches From Bottom 38 Inches From Bottom Help? These screens are great. Nearly invisible and great quality. Advantages: Strong frames and nearly invisible. Disadvantages: Shipping cost was too high. I understand the box was large, but super light. Actual cost would be more appropriate. 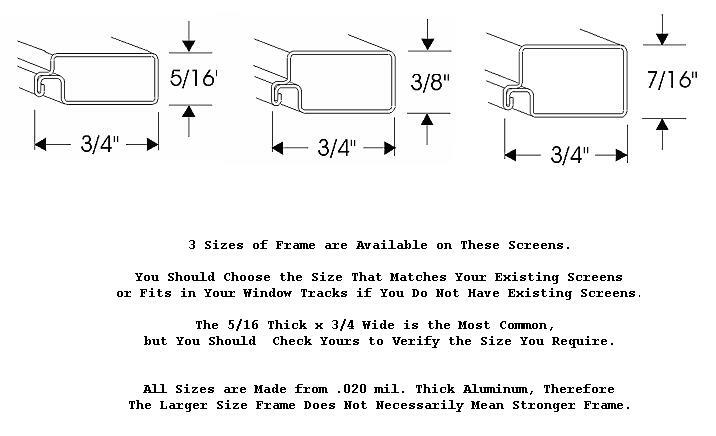 Very happy with the ability to order custom screens online and receive them in a timely manner at a reasonable price. Packaging was good, and even though one screen was damaged, replacement was hassle-free. Advantages: Custom screens ordering interface and pricing was very easy. Disadvantages: Construction of frames is less "rigid" than my old screens. There's a tiny bit of give to the frame as you install and handle it. Not a show-stopper, but it was noticable. Perfectly made to my request and good quality. Worth every penny and will certainly return. Very satisfied with the price, quality, and customization options. 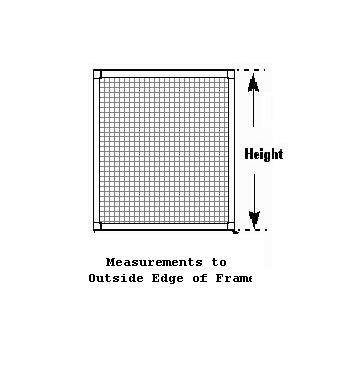 As long as you accurately measure your current screen and enter the dimensions correctly on this site, the replacement screen will fit perfectly. Very happy with my replacement screens. The quality is top notch. They packed them very carefully in a crate so they arrived in perfect condition and very quickly. The ultravue material is much less visible from inside and outside than my old metal screens and they seem to let in much more light. Thanks for a great product! I would definitely order again and highly recommend. Advantages: Screens are nearly invisible from inside and much less visible from outside. They let in more light than my old metal screens. Very happy with the screens. They came perfectly-sized to my specs and were good quality. 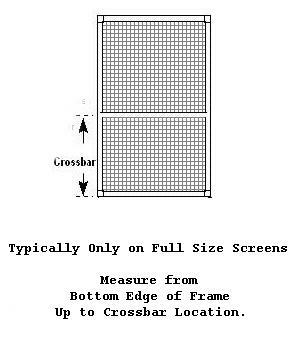 The web site is excellent for measuring and choosing screens. conditioning we can without insects. Otherwise, you don't realize the Ultravue screens are there.One the the shipments had some damage to some of the screens, from careless handling by FedEx. The carton was obviously damaged. A phone call to Quality Screen had a replacement order on its way with no hassle or waiting. Great customer service! 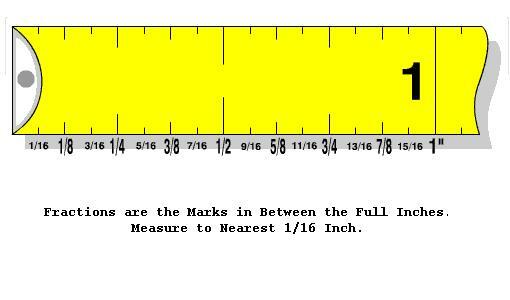 The website has very detailed and easy to use measuring instructions. And the total cost is so much cheaper that paying some local business to come out, measure your windows (like you can), order them, and come out to install them (like you can) when the order comes in from the manufacturer. 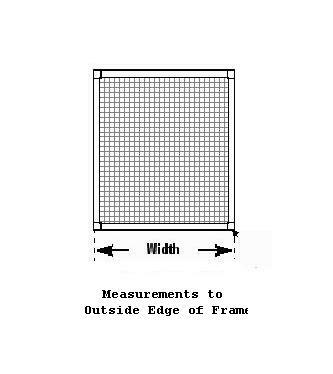 You really cannot go wrong dealing with Quality Screen Co. LLC as long as you can follow instructions and read a tape measure accurately! The screen came in an strong cardboard box with wooden lining. Very tough and unexpected. More important, I called the day after I ordered to make an essential correction. They took my changes and managed to made the change before it went through and still it was on schedule. I can't be sure it will always be this way but I sure appreciated the attention to detail they took. Highly recommended. Disadvantages: Learning how to manage my windows. Fast service and precisely made! Advantages: Made exactly as I specified. Disadvantages: My measurements were bit too close. They were a little tight to put in but we did get them in. Love our new screens - compared them side by side with the original ones, they are higher quality and have better visibility. Crossing our fingers the cats don't make us regret getting new ones!